What Zoho Projects Triggers and Actions are Supported? 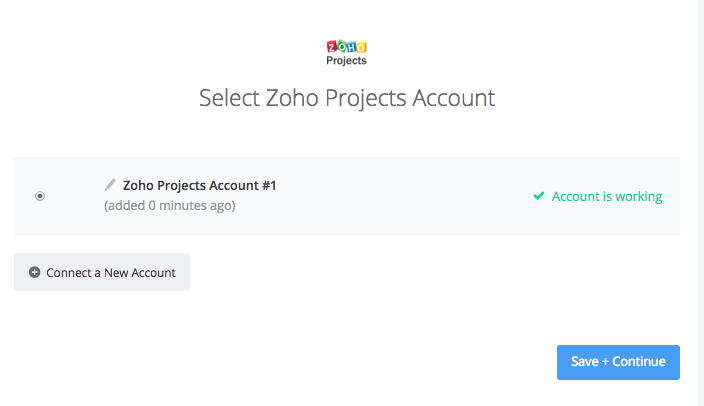 The first thing you'll need to do is connect your Zoho Projects Account to Zapier. After you sign up and start creating the Zap you want, Zapier will ask you to start the process. Next you'll need to enter your Authtoken into your Zapier account, enter your Portal name, and click Continue. 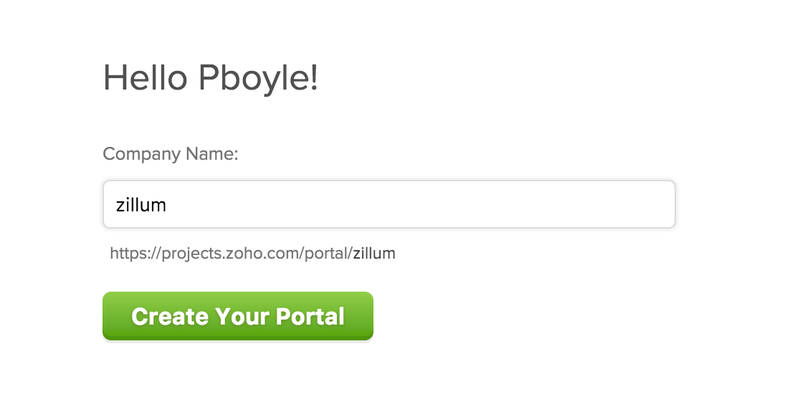 In the above image the portal name is “zillum” which comes after “portal/” and before “#” in the URL. The name that you enter while creating the portal is your portal name. If your auth token and portal name were correct, you'll be connected and be able to continue setting up your Zap. New Log Time - Triggers when a new log-time is created. New Task List - Triggers when a new tasklist is created. New File - Triggers when a new file is added. New Project - Trigger when a new project is created. New Bug - Triggers when a new bug/issue is created. New Task - Triggers when a task is created or completed. New Milestone - Triggers when a new milestone is created. Create Bug - Creates a new Bug. Create Milestone - Creates a new Milestone. Add Log Time - Creates a new log time. Upload File - Copy an already-existing file from another service to Zoho Projects. To fix this, make sure you have chosen the correct project. 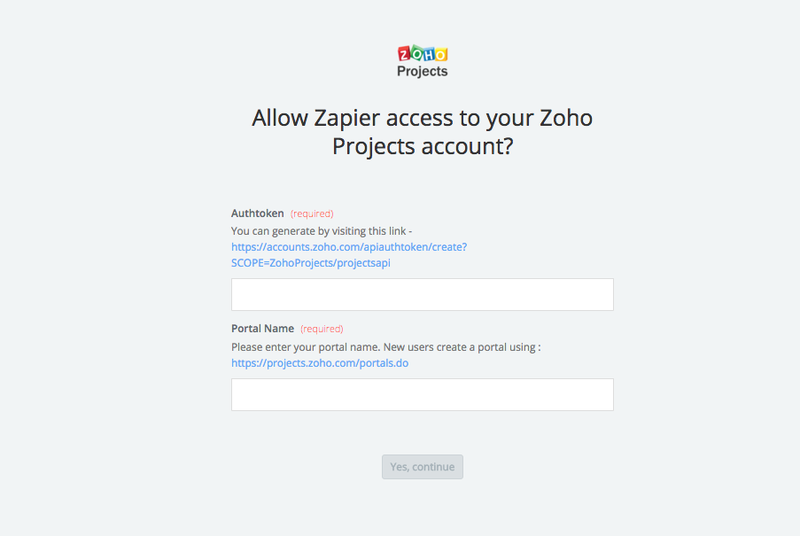 If you haven’t created a project yet in your account, create it first then set up your Zap.